Napoleon was born in a one-room cabine near the Appalachian town of Pound, in Southwest Virginia. Hill's mother died when he was only nine, and his father remarried two years later. When Hill was 13, he bagan writing as a mountain reporter for small town newspapers in the area of Wise County, Virgina. He later used his earnings to enter law school, but soon had to withdraw from the school due to financial reasons. In 1908, Hill began a reporting assignment which required him to write a series of articles about famous and successful men. The turning point of Hill's life came about when he had to interview the industrialist and philantrhopist Andrew Carnegie, who at the time, was one of the most successful men in the world. Carnegie shared with Hill the secrets of his success and believed that it could be outlined in a simple formula for anyone to understand and achieve success. During the two men's discussion, Carnegie became impressed with Hill and asked if he would be interested in take on the task of putting together the information, and to interview and anaylize over 500 successful men and women, in order to discover and publish this formula for success. Hill agreed to the task. Carnegie began introducing Hill to many of the powerful people he would soon interview and meet, many of them even giving Hill endoresements for the publishing of "The Law of Success". Some of these names include: Alexander Graham Bell, Thomas Edison, Henry Ford, John D. Rockefeller, E.M. Statker, Harvey Samuel Firestone, F.W. Woolworth, William Wrigley, Jr, Daniel Thew Wright, Edward W. Bok, William H. Taft, Cyrus H. K. Curtis, Luther Burbank, and many more. Later, Hill would also becomean advisor to two presidents of the United States of America, Woodrow Wilson and Franklin Delano Roosevelt. As a result of Hill's study, the 'Philosophy of Achievement' was offered as a formula for rags-to-riches success by Hill and Carnegie, and the book, "The Law of Success " was published in 1928. Napoleon Hill believed that freedom, democracy and harmony were contributing elements to his philosophy and the foundation of success; he also believed that undesireable emotions such as fear and selfishness were the source of failure for the unsuccessful. According to Hill, the Secret to the Law of Success is 'The Golden Rule'---that only by working harmoniously in co-operation with others and thus creating value and benefit for them, can one create sustainable achievement for oneself. Hill also presented the idea of a "Definite Major Purpose" as a challenge to his readers in order to make them ask themselves, "In what do I truly believe?". According to Hill, 98% of people had few or no firm beliefs, and stated that this alone put true success firmly out of their reach. A strong knowing and belief in one's true and definite purpose is an important stepping stone on the path to personal success and achievement. Napoleon Hill described his own son, Blair Hill, as also being an inspiration to him. Blair Hill was born with abnormal hearing organs and was deaf. Despite being told by doctors that he would never regain his hearing ability, Blair grew up being able to hear and speak almost normally. In his last year of college, Hill's son had picked up a copy of the manuscript of chapter two of "Think and Grow Rich" and discovered Hill's secret for himself. Blair Hill went on to be an inspiration for thousands of the hearing and speech impaired. From 1952 to 1962, Napoleon Hill continued to teach his Philosophy of Personal Achievement, and in 1960 he co-authored a book with W. Clement Stone, titled: "Success Through A Positive Mental Attitude" . Norman Vincent Peale even credited the writing of both men as being an inspiration to him. Napoleon Hill was also an editor for Success magazine, which is still 'successfully' being published today. Hill's works examined the power of personal beliefs, and the role they play in personal success. "What the mind of man can conceive and believe, it can achieve" is one of Hill's hallmark expressions. How achievement actually occurs, and a formula for it that puts success in reach of the average person, were the focal points of Hill's books. 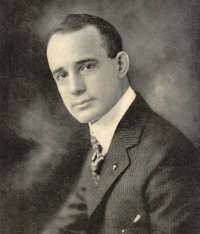 Napoleon Hill's books have sold millions of copies throughout the years even after his death 1970. In his books, Hill dealt with many controversial subjects including racism, slavery, oppression, failure, revolution, war and poverty. Philosophy of Success teachers still use Hill's research formulas today to expand their students' knowledge of personal development. Hill stated that it is the personal responsibility of every human being to persevere and succeed in spite of all obstacles using the Philosophy of Achievement.